This week we want to talk about paper samples. 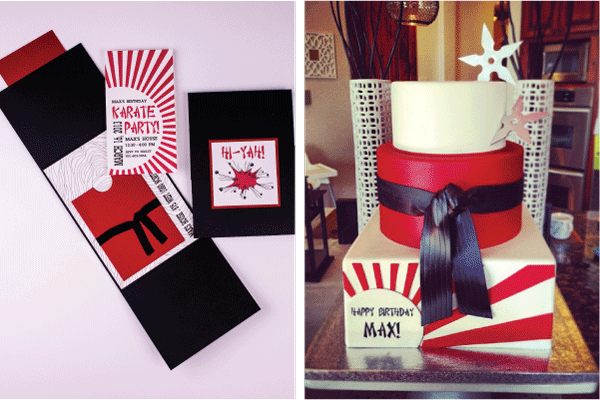 Have you ever had an idea of what you want your invitations to look like but you're not sure what paper may be best? Have you looked online at invitation and paper samples but never really get the full experience of what they may feel like and look like in your hand? That's where the ultra-handy mini paper deck comes to the rescue. For only $20 bucks your can have your very own mini deck and all the paper options you can imagine right at your fingertips. The mini deck is a valuable tool to help you select your favorite papers and you get to play around with mixing and matching the variety of paper swatches. You may even find something you didn’t know you wanted and now can’t live without! What's the best part of the mini deck? When you order your invitations through Ann Elizabeth we credit the $20. toward your invitations! So order yours today. It's completely risk free. Do you love going to a good party or hosting them? 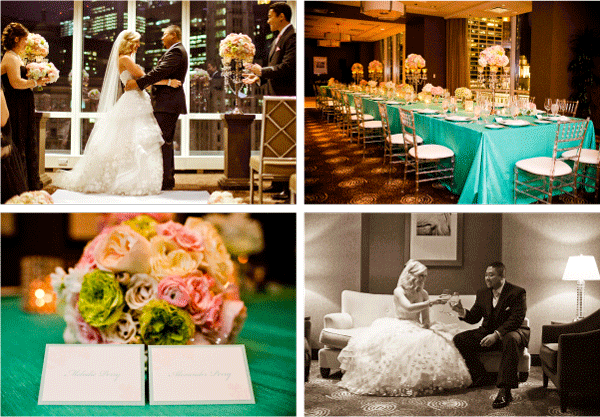 This week we’re excited to feature one of our favorite clients Hailey Kandell. Hailey is known for her excellence in hosting a great party for all occasions. She goes all out for her children's birthdays with lavish themes that will excite any child beyond their wildest dreams. Hailey's passion for entertaining started with her husband's love of cooking and out of a her desire to make special occasions personal and very reflective of her children’s personalities. 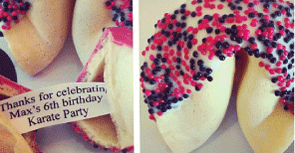 For each child’s birthday they would chose the theme of their party and help in the details as well. Hailey says “Entertaining to me is a way to celebrate the people I love the most and to make life’s little milestones more grand.” Starting with the invitation she conveys the theme of the party to Ann Elizabeth. Ann then creates the uniquely designed invitations you see in the pictures below. Ann says "Hailey is great... She just gives me an idea and let's me run with it." Hailey’s choice of talented vendors like Culinary Crafts, Layers and Echo Photography help her to throw one fabulous party after another! Her daughter Ady chose an artist theme for her birthday. The invitations had a fun crafty feel to them with different colored ribbons on the main piece and an icing wrap with paint streaks on the envelope giving it an artistic look. Layers clever way of making a cake look like chocolate crayons in a pail was just amazing along with the mini cakes for each child’s inner artist to decorate. Culinary Crafts catered and did a beautiful job with making all of the food arrangements look like art. Her daughter Lucy picked a whimsical Wizard of Oz theme. This whole birthday party had every detail covered from the balloon rainbow entrance to the Wizard of Oz characters. 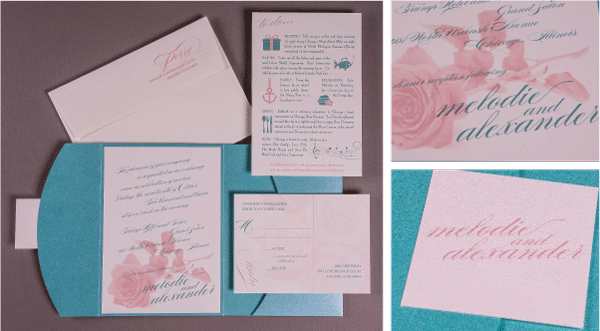 The invitation was bright and colorful, two-sided with a pocket on the back and multiple layers. You knew you were going somewhere over the rainbow to a magical land when you received this invite. Layers again took the Wizard of Oz theme and made an amazing cake with rainbow colored layers on the inside. Culinary Crafts catering created an amazing spread of food that matched up with the theme too! Echo Photography by Kimberly Hadlock did the beautiful photography. 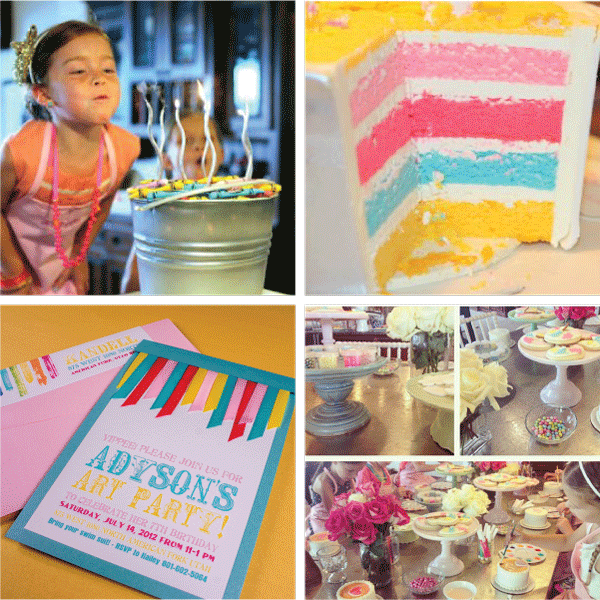 Hailey is such a fun client to work with and we love coming up with new ideas for all of her fabulous parties! Here at Ann Elizabeth we would like to say thank you to Hailey for sharing all the amazing pictures and letting us all have a sneak peek into her life and love of hosting parties!